An apology – My Outlander Blog! I just had a fan ask if I could write something to soothe her heart. She said she had been crying over the drama in the fandom. I’m touched she thought of me, but I really couldn’t think of anything I could say that wouldn’t add to problem. I tried once and this apology was the result. It’s a slippery slope. You start with good intentions, but we all know where that can lead. I went in search of a positive article I could repost. Something from happier days and found this. Let me preface this by saying the behavior I was addressing had nothing to do with the current situation in the fandom, but after reading I thought the lesson I learned was a good one. I spent quite a few hours Sunday morning feverishly writing my version of a combined rebuttal and comeuppance to what I saw as some truly bad behavior. 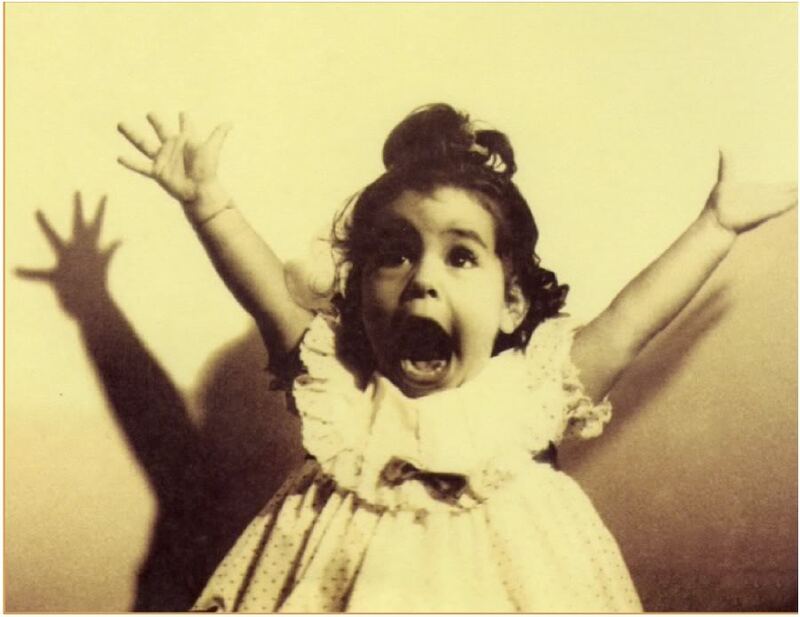 After reading my 1600 words citing examples, research and pleas to common sense and being pleased with myself, I hit publish. I immediately regretted it. I sat with my feelings for a few hours while I fielded responses, all respectfully agreeing or disagreeing which was after all my point. It’s okay to not think like someone else just have a little couth while you’re doing it! So, why did I feel so crappy about publishing those thoughts? I’m writing this in effort to examine why after spending hours writing, receiving mostly positive responses, I put the whole thing in the trash. My first thoughts were that I was preaching to the choir. The behavior I was trying to address was so blatantly rude, no one could have failed to recognize it. And, those who recognized it and applauded are not going to be influenced by my pleas for common sense and courtesy. So, what the hell was I trying to do? My second thoughts were about my own hubris. I’m not an expert on human behavior or literary analysis. I need to stay in my lane. Then the blues came. WTF!? Ultimately, I decided I had gotten off track and was behaving badly myself and that makes me sad. So, if you read me, I’m sorry. I know a lot of you get email notifications when I publish. You probably clicked a link and got a page that said the article couldn’t be found. I feel bad about that, but when it comes right down to it, I don’t want to add to or exacerbate what I see as an unsolvable issue. Eventually, my good intentions, at least I think I had good intentions, but maybe I’m fooling myself, would have been used as fodder for more crap. I’d rather spend my time and whatever currency I have on things that matter, truly interest me, or bring me joy. So, I’m taking my own advice and picking my battles more carefully. A few moments ago, I received a lovely message that helped me gain a bit of perspective and I appreciate your reading my stuff and taking the time to write. One of the best things about writing a blog is getting to hear from some truly lovely, caring folks. We all make mistakes and I’m planning on learning from this one. I love this fandom. I have met and spoke to so many whose lives have been enriched by this community. I feel sorry for those who have been caught up in the drama. This was once a fun place to laugh and share a common love of Outlander. If all it is bringing you is anger and grief then maybe you need to decide if the battle is worth the pain. I believe there are an ocean of fans who still want it to be that kind of place where we come together to share a joy of all things Outlander and won’t participate in the ugliness or give it a platform. Find some like-minded folks and laugh and get excited for the next episode. Communicating is a slippery slope in the best of circumstances. Electronic domains accentuate that hugely. Transference of one’s own sentiments is the norm and it’s understandable and human. The yikkety yack is certain to be misperceived and, in a moment the wave changes tide. It’s ok Beth. It seems there is never enough for some people and they just love to complain about everything. It’s tiresome and disappointing, sad and maddening. I would rather not see so much and be surprised rather than analyze some aspect of a show to death before it has even been broadcast. Amen. Sometimes I feel like Season 2 is over before it has started. Your first post was probably “preaching to the choir”, but there’s always the chance that someone will read something like that and take a step back to examine their own behavior, for good or ill. And there’s nothing wrong with a little positive reinforcement. The negativity has gotten out of hand. That it made you doubt yourself and your intentions means that it’s creeping up on everyone, like kudzu. Agreed, A. Young!! One can only hope that the quality reader/compadre of Diana’s books is open to self-reflection and may hear a truth in Beth’s blog that they haven’t received previously (however much needed) and adjust future posts accordingly. And “KUDZU” !! haha!! I always respect any comments either good or bad but come on folks this is just a “story” and not real life where anything can or will create chaos! I enjoy reading and seeing all of it but am not consumed by any of it! p.S. Love your blog no matter! Keep up the good work! Thank you for being so respectful – and for having a conscience that allows you to search yourself; takes a big person. I always enjoy your blog and pretty much always agree with you – – you broaden our horizons. Keep up the good work – and thanks again! Thank you Beth for your insights and for your perseverance in the face of unfair critics. I am a big fan your posts and appreciate your courage to carry on! Don’t loose sleep over it Beth. Your blog is great. Let those that choose to view spoilers do that, and those that choose not, don’t do. Their fingers are the ones that do the tapping. We live in a world now with so much negativity that its easy to complain about anything. Just take a deep breath and enjoy the gifts we have. This made me laugh and smile. I find myself getting caught up in the same emotions, and then my Mothers’s voice in my heads says, “if you can’t say anything nice, then say nothing at all”. The fandom for the Outlander books is so large and varied. The book readers from 20+ years ago, the non book readers, etc., etc. I sift through it and move on with my adult life. Don’t be so hard on yourself. I love your blog. It was one of the first ones that I I felt a kinship with, and I love your perspective. Debate is healthy as long as we all follow the rules of etiquette. Much love. Slow clap Beth. Although I found nothing wrong with the prior post I understand your reasoning for removing it. It takes a big person to admit they think they may have been wrong and you’ve shown us all your heart here. I love your posts and hope you continue for as long as Outlander does. Don’t let the negativity get you down and know there are those of us that look forward to reading all your thoughts. I read your piece and I don’t think you were rude. I was horrified at the abuse and angst that so called fans expressed in Twitter and FB. As Lois says above it is just a story. I’m absolutely positive professionals are not deliberately trying to mess the story or big up one character over another because of favouritism or some sort of ego trip. Visual media has to be presented in a different way and yes the storylines will change. We’ve seen it so many times but does it really matter as long as the start, middle and end broadly reflect the original story that fine. My late father was a much published author who was fortunate enough to have two of his books filmed. One was fairly close to the book, the other really was a travesty that bore no resemblance to the original work at all. We cannot say the same for Outlander which was wonderful and as we’ve only seen a trailer for DIA why on earth people got so upset beats me. I feel almost embarrassed about it and as a fan I want to apologise to Ron D Moore, Terry D, all the wonderful stars, writers and producers. Love your comment about wanting to apologize to the writers and producers etc for the rabid fandom. I get embarrassed by the narcissistic and egocentric attitudes of others. Even when I’m choosing to be detached about something I care about, these rude people still push my buttons! Beth, go easy on yourself! You always expand these conversations in a constructive, thoughtful way…and your pieces are very much appreciated and enjoyed. Do not beat yourself up for trying to inject the public discourse with a sense of respect for the feelings of others or for trying to gain an understanding of why what should be enjoyable and entertaining becomes fraught and contentious for some. I think it’s a matter of perspective. Some people take all of this way too seriously, so much so, that this fictional world becomes their personal reality – clearly not healthy. But in no way should you – a person who has elevated the conversation time and again – have one second of regret in this arena. I totally agree with BE4762 – and with Beth’s original piece. It is a pity she felt it necessary to remove it, as it is so considered. I agree as well and admire and appreciate Beth a great deal. It takes a brave soul to share feelings in a blog. Beth, I read yesterday’s post and while I saw nothing wrong with it I can relate to the feeling that it is not in sync with what you intend to put out there. The fact that you have such thoughts is impressive. A mistake? I don’t know. I saw it as just an honest reaction to behavior. I will stop now before I say more than I want to. I enjoy reading your posts because they usually cause me to look a little deeper and think a little more. Love that! Beth…welcome to the human race! Feeling bad about what you wrote and analyzing your motives made me trust you even more. I agree about staying in our lane and taking the high road. We need your voice and your heart but none of us can control others. It’s okay, Beth! I too have seen some amazingly ‘passionate’ comments from Outlander fans that just make me cringe. I applauded you for ‘singing with us’ . If it you made a mistake ….well I don’t know. It wasn’t rude. I’ve seen things written to Diana that make me wonder how she can stand to read them. Oh, well. We all love Outlander…it’s nice we have movies. I’m going to leave it at that. Beth, please keep writing and expressing yourself. You have such insight into both literary and media topics. I do enjoy reading your blog. Do not be so hard on yourself, as we all can get caught up in the moment or the conversation. You are often the light of sanity in an otherwise murky discussion. Take a deep breath, a sip of wine and enjoy the lovely snow we have here in Ohio. Thank you! I was an Outlander virgin when I watched the very first episode. It took over how I view the whole world… my husband, by children, politics, church, my cat… It has definitely made me a better person. Thank you Diana! I wish fans would not get so caught up in “it.” Whatever “it” is. I wish we did not see all that is going on in filming of the next episode. I want to be an Outlander Season 2 virgin, alas that will not happen. Thank you for your thoughts on your blog. It makes me sit back and think a little more for myself. I happen to like Frank, to hate Randall, and to look forward to Roger and Brianna. Slainte! I really enjoy your blog 🙂 don’t be so hard on yourself !!!! Just finished Voyager and thought it was wonderful !!! Curious if you liked it. I agree with everything you’ve just typed. Very well said. 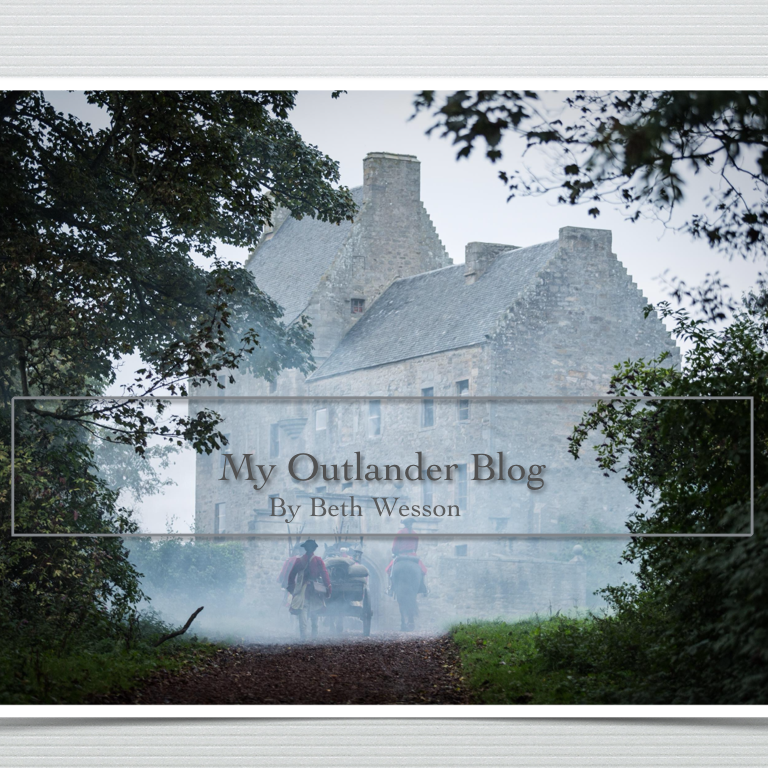 Beth, I always enjoy your blogs with the wonderful, positive intelligent analysis of all things Outlander. I am so grateful to Diana for the books, and Ron, directors, Terry, Sam, Cait etc who bring these books to life on TV so beautifully, and are genuine and good people besides. I read both of your blogs. I understand why you wanted to counteract these people, but am very happy you chose to begin ignoring the “fans” who are rude, consumed with their own egos, and out of reality. They steal time away from writing and pondering good thoughts with merit one value. sorry. …thoughts with merit and value. Beth, I love your blog, and there’s nothing you’ve written in it for which you should apologize! You always give us something to think about or help us appreciate things we may have missed. There’s always a chance that some of the unhealthily-obsessed fans (as opposed to us normally-obsessed ones!) may see your article and examine their own behavior in light of your comments. Maybe not likely, but we can always hope… Thanks for all your hard work and the reading p,ensure ou give us! Dear Beth just a short note to say I’m reasonably new to your blog which I always thoroughly enjoy and eagerly look forward to. Please don’t beat yourself up about anything. I have found the fandom for Outlander overwhelming at times ( this being my first having been a long time reader ). I find myself appalled at some of the critiques aimed at even Diana herself. I simply press delete and don’t want to read anything else from these people. As far as I’m concerned your apology was not necessary. You also have the prerogative to write as you wish. Please go on expressing your thoughts. As I said in response to your deleted post, you’re the only exposure I have to Outlander fandom other than our NC group. I personally didn’t find your comments out of line and thought they were very well considered and expressed. Fanatics are going to be just that – fanatics. I love the books, much more so than the series because I’m a reader first and foremost. However, they don’t rule my life any more than other series that I love. (I do admit crying when Anne McCaffrey died because that was the end of her vision of Pern and my secret desire to be a dragon rider.) Keep writing, and if your humanity shows in it – well, that’s why we all read, isn’t it, to find the humanity in ourselves? Hey Pam. I totally agree – from a fellow NC Outlander Fan! Darn! I hope you read my comment before you removed your post! From another Beth, I read your post and wondered why you deleted it because it was so DARN good. You were spot on and, honestly, you shouldn’t have felt the need to apologize! Your blog is your space and you should be able to express your dismay of the attitudes/speech of others conveyed in more public spaces in your own space. (Did that make sense?) In fact, I agree with your opinions about the HATE going on. It takes all the fun out of being a fan when you feel that everyone takes every. single. thing. so seriously. Dang, as a cancer survivor, I realize it’s just a book and it’s just a show! I’m just thankful that I have both to escape to and interpret the way I see fit. Thank you for your honesty and your self-reflection but, really, NO apology needed!!! P.S. I enjoy your blog – ALOT! Thanks for the thoughtful effort you put into it. Dear Beth, Many times in my own life I have been frustrated, disappointed, or hurt so deeply that the pain becomes physical. The only way I have been able to deal with that kind of pain is to write about it. At one point I remember typing until 2 AM about a particular family member who is an alcoholic and I could no longer deal with her behavior. However I knew it would do no good to rage back at her and so I set my feelings down on paper. That particular event lasted 15 pages of 10 Pitch, singlespaced type that I then buried deep within my computer under a very boring file title. Although it did nothing to repair my relationship with this drunk, it did wonders for my ability to move past her behavior. In my opinion, sometimes a few fans become “drunk” with their limited power to fill a few lines with invective. Anything you say against such behavior only leads. to uglier rants. You are entitled to your opinion and have nothing for which you need to apologize. I happen to share your opinion, and appreciate the voice you give to it, perhaps because that voice uses clean vocabulary and correct grammar. Your blog then becomes a sort of exorcism to dispel these unreasonable and sometimes foul statements from the universe at large. What a gift you have. Hi Beth, I didn’t see your earlier blog but I have enjoyed your previous blogs. You are entitled to your opinions and to vent. However, if you felt you had to remove it that is your decision as well. The world is still turning and life goes on and unfortunately nasty people will always try to make themselves feel better by belittling others. Beth, I really wish I had read your deleted blog, I am very curious, could you mention the basic topic? I love all things Outlander, but only discovered the books about 4 years ago. I am not very deep into the Outlander fandom, but have some experience with an artist fandom, and am always amazed at the viciousness of some people, you really have to wonder sometimes if they even have a life, or why don’t they go out and get one? Anyway, I always enjoy your blog and your insights, keep it going. Thanks. They are few blogs of the many about Outlander that I follow and yours is one. I enjoy the intelligent, well-thought out posts and comments. I especially like the information about acting, costumes, etc. so we can better understand the whole process. I stay away from Facebook and Twitter especially, since people can be so rude and outrageous. I learned that when I first dipped into fandom with a music group I liked. Please remember there are people out there who appreciate thoughtful, mature discussions of Outlander and related topics. I look forward to your reactions to season 2.